It's day 4 of my solo trip to Vietnam and so far I'm not regretting my decision to come. The truth is I haven't spent much time alone since embarking on the trip. I met two friends from Abu Dhabi who were on their way to Saigon and we linked up. I spent my first evening and most of the following day hanging out with them. We drank tons of beers, ate from strangers at little street side shops and laughed a lot. I'm still recovering from staying out until 4 in the morning drinking beer two nights in a row. 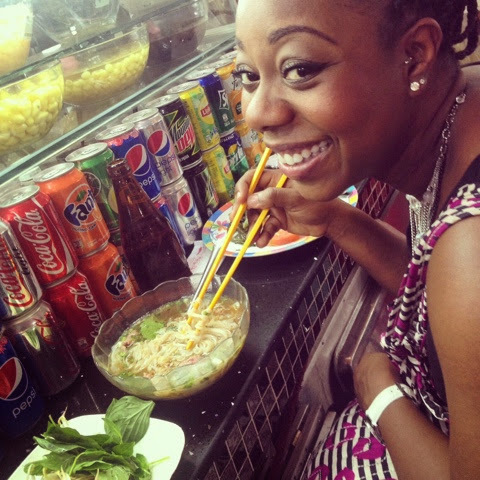 I tried Pho for the first time and loved it. 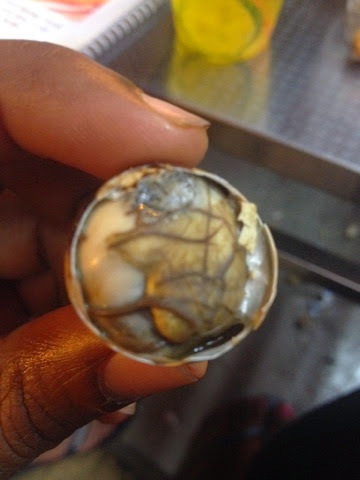 Also tried these fertilized duck eggs. I noticed some locals going HAM on them while we were out at a little street side bar. They couldn't explain to me what they were so they let me try.Yeah, won't be doing that again. 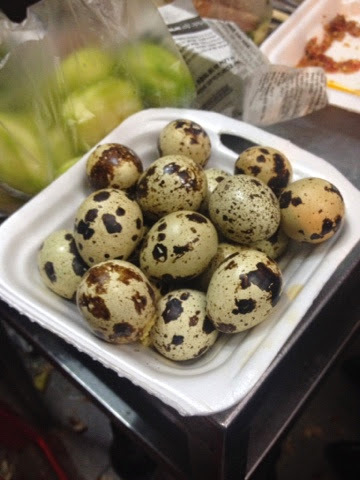 What was better were these quail eggs. I actually liked them. People sell them in little plastic baggies on the street and they're great with beer especially at 2 am. 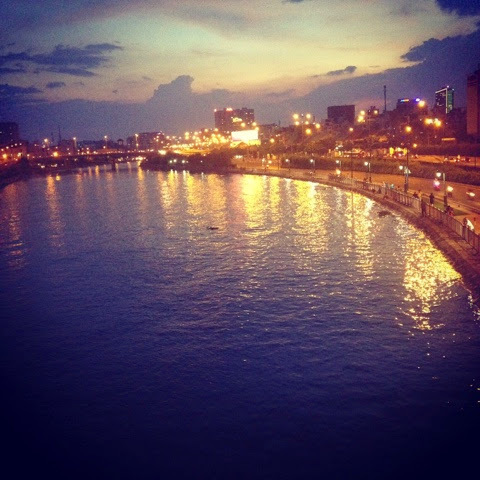 Last night I got to Hanoi and when I went out to dinner I met 2 English teachers who were visiting from Korea. I spent the evening with them sharing travel stories, drinking cheap beer and exploring the streets of Hanoi's Old Quarter. Today I went on a booked tour of Hanoi. Luckily for me the other pople who had booked the tour canceled so I had the tour guide all to myself and it meant I didn't have to rush. I visited the pottery village in Bat Trang where most of the pottery sold in Vietnam is made. I spent hours there looking at all the beautiful hand made ceramics and marveling at the craftsmanship. I imagine if other people had been there they would not have been happy with me. As we were walking we happened upon a little restaurant that was full of locals. They sell only one dish and it's called Bun Cha. 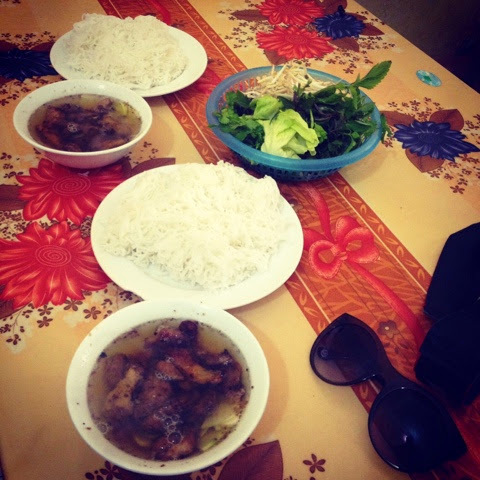 It's marinated pork served with rice noodles. 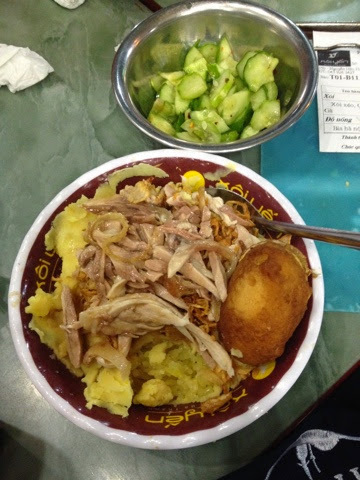 It's one of those dishes you have to try when you visit Hanoi. Add it to your list of must eats cause it's pretty good. Part of the tour also included visiting the silk village. I wasn't impressed so much by this village as only a few homes still practice silk weaving. It was just meh. After returning to the hotel it was dinner time and since I was too tired to go searching all over the city for food, I consulted my Lonely Planet guidebook and discovered that one of their recommended places called Xoi Yen was just around the corner from my hotel. Winning. I saw a local lady eating something and it looked really interesting so I got the same. I know it looks weird but you have to trust me on this one, it's really yummy. Seriously, also don't ask me what it is cause I can't exactly explain. I know it has chicken and sticky rice and that's about all I know. Wel, that and the fact that it was cheap, filling and good. Spent the time chatting up the local lady whose English was excellent. She recommended an ice cream place further down the road on Trang Thien road so that's where headed for dessert. Tomorrow my plan is to relax. I may go out in search of a cheapie spa/massage place and a coffee shop to chill in and read. I'm definitely going to try and sleep in. Chat you guys up later.